Fiancée Visa | Immigration Attorney Fort lauderdale, FL - Miami, FL Adam Franzen. P.A. As a United States citizen, you may bring your fiancé(e) to the United States to get married. It’s required you file an I-129F petition with the United States Citizenship and Immigration Services (USCIS – formerly INS) for your fiancé(e). In order to be eligible for this petition, you and your fiancé(e) must both be single and be willing and able to marry. Additionally, you and your fiancé(e) must have met in person at least once in the two (2) years prior to you filing the petition. This condition may be waived if such a meeting would violate traditional customs or cause extreme hardship. If the I-129F petition is granted, consular processing through the National Visa Center will commence. Your fiancé(e) must then apply for the K-1 Visa at the United States Embassy or Consulate in their country. 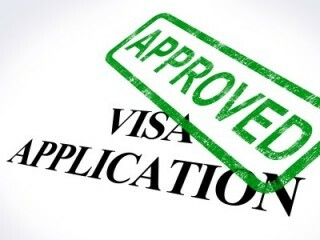 As a visa petitioner, they must then receive a medical exam and supply a police certificate, among other requirements. If your fiancé(e) has a criminal record or has formerly been removed or deported from the U.S., they may have to apply for a special waiver. As a petitioner for your fiancé(e), you shall next provide proof that you are financially capable to take care of your fiancé(e), and shall provide tax returns, paystubs and an employment letter to do so. Once the documents are ready, your fiancé(e) should then coordinate and go to their visa appointment. A granted I-129F petition will be valid for four (4) months. You may also petition to bring your fiancé(e)’s children, who are younger than 21 years old and unmarried. If you are petitioning to bring your fiancé(e)’s children to the United States, you shall also demonstrate that you are financially able of taking care of the children in addition to your fiancé(e). Once your fiancé(e) enters the United States, you shall get married within the next 90 days. Your fiancé(e) is eligible to petition for a work permit, which will only be good for 90 days. If you and your fiancé(e) do not get married, or if your fiancé(e) marries another person, then they would violate the terms of the K-1 Visa and would have to depart the U.S. You and your fiancé(e) may not obtain an extension of the 90-day period. Additionally, your fiancé(e) may enter the United States only one time with the K-1 Visa . If your fiancé(e) departs the United States prior to you getting married, they may not be allowed back into the United States without a new visa. Once you get married within the 90-days period following your fiancé(e)’s entry, they can petition for a conditional green card, and for a new work permit. If everything goes good and your now husband or wife receives a conditional green card, they will be able to file for removal of conditions of their temporary green card upon the two-year anniversary of your marriage.